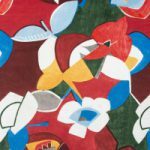 The original Hinson & Company opened with 30 wallpaper designs and coordinating fabrics and soon expanded with the collaboration of Pierre Cardin for a collection of fabrics and wallpapers bearing his imprimatur. In 1982, Harry Hinson was chosen to design wallpapers and fabrics for the New American Wing Collection of the Metropolitan Museum of Art. 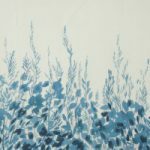 In 1985 he was selected to design the Wildflowers of America fabric and wallpaper collection for Lady Bird Johnson’s National Wildflower’s Collection based on research of native American wildflowers. Later he designed the Lady Bird Johnson National Wildflower Center Foliage Collection. The Albert Hadley wallpaper and fabric collection designed in cooperation with the Dean of American decorators was introduced in 2003. In 2014, the company was acquired by Donghia, Inc., where Harry Hinson’s vision of interpreting new designs is preserved. Hinson & Company continues to pay homage to the classically livable, exquisitely formed approach to design that Harry represented. You can now find all Hinson product in Donghia showrooms across the United States. Hinson fabrics for upholstery and drapery are available for purchase here at #1 Fabric Co. Call 877-FAB-2-YOU for your best buy price on any current Hinson fabric.- Or fill out the price quote form for an email quote on any fabric in the entire Hinson line up. 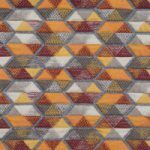 Hinson fabrics for the home or company are discounted for purchase here online. #1 Fabric Co. offers all of Hinson selections at or near wholesale discount prices. Hinson fabric samples available upon request. Are you looking for a specific pattern from Hinson Fabrics? All Hinson fabrics are available for purchase through #1 Fabric Co.
#1 Fabric Co makes decorating with designers like Hinson fabrics affordable. Buy the same decorator textiles the professional interior designers buy at the lowest possible sale prices. Note: Our fabric selections are NOT factory seconds, over-stock, remnants or discontinued fabric. Your pricing from #1 Fabric store will be on a new, current, first-run Hinson fabric at the lowest possible price.